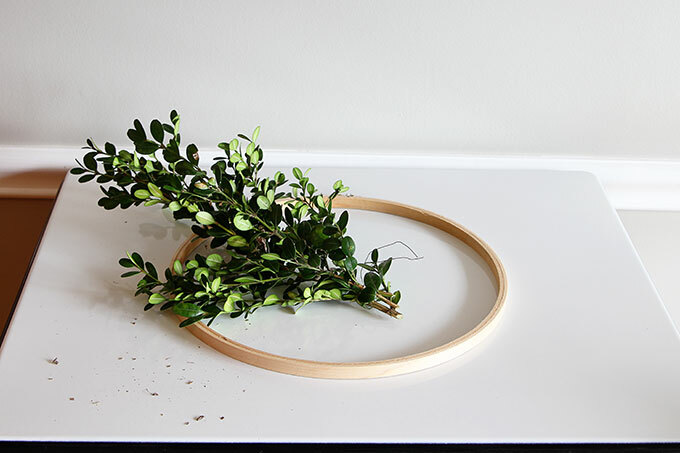 Learn how to make a super quick and easy boxwood wreath. And did I mention it is inexpensive? Perfect for Christmas, yet looks great any time of the year. Time to start planning what you are going to do for the holidays this year. Sure, I want to be all about Thanksgiving and talk about vintage turkey salt & pepper shakers and the best recipe for creamed peas and such (BTW, the best recipe for creamed peas is to NOT MAKE THEM), but my mind keeps wandering to Christmas decor. Vintage Christmas ornaments, little twinkly lights, DIY holiday projects. All dancing around in my head, pushing Tom Turkey to the back of the bus. So even though I don’t actually decorate until after Thanksgiving, I have started to plan and scheme and get some stuff together. 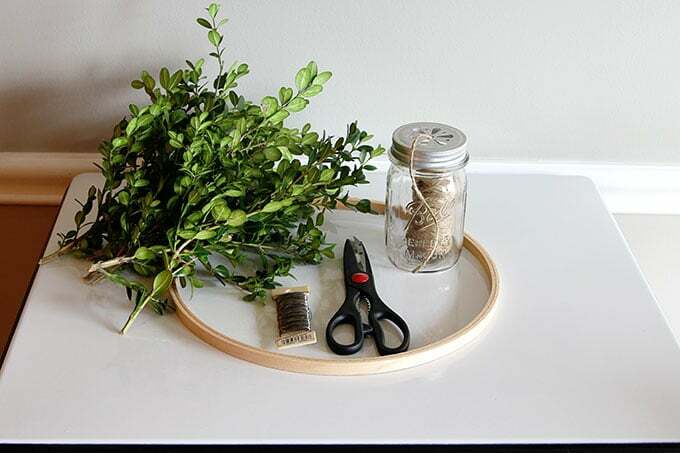 Like this quick and easy DIY boxwood wreath. 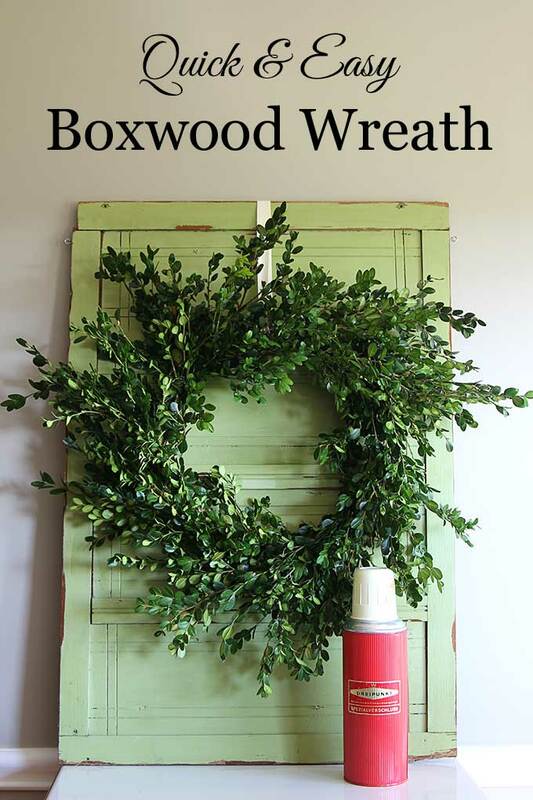 It is similar to the one I showed a few weeks ago in my Inexpensive Fall Centerpiece post, when you got a glimpse of a boxwood wreath hanging on a barn vent. Now, I don’t want you to go out and break your arm in order to make this (that is totally optional), but it is super quick and easy to make and would look cute in your holiday decor. 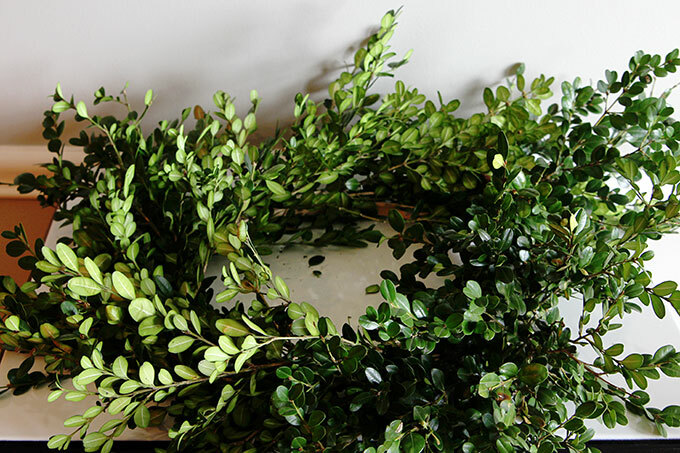 Go grab some boxwood branches from your boxwood bush. A neighbor’s boxwood bush would do, as long as you ask permission or do it in the dark. Just kidding, please ask permission. 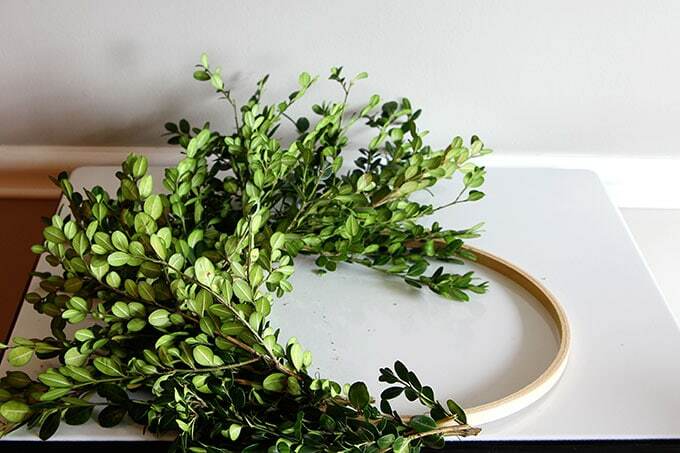 Take 3 boxwood sprigs/branches and tie them together with an 8″ section of florist’s wire. Take the bundle and attach it to the embroidery hoop with the tails of the wire. Repeat all the way around the hoop attaching the new bunch about 4″ from the last bunch. 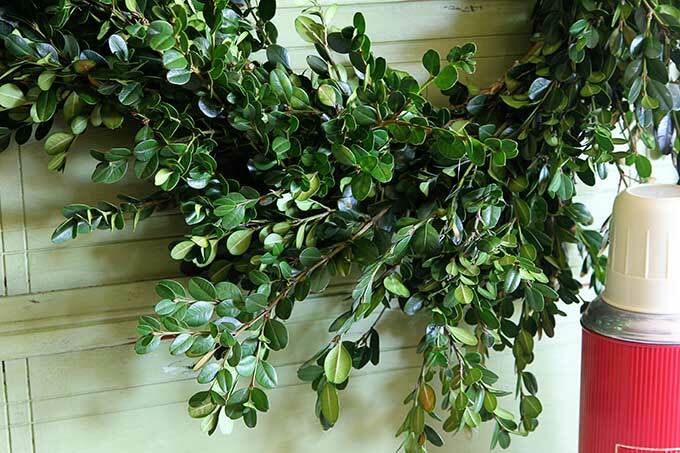 You will use roughly 9 bunches of boxwood for the project. 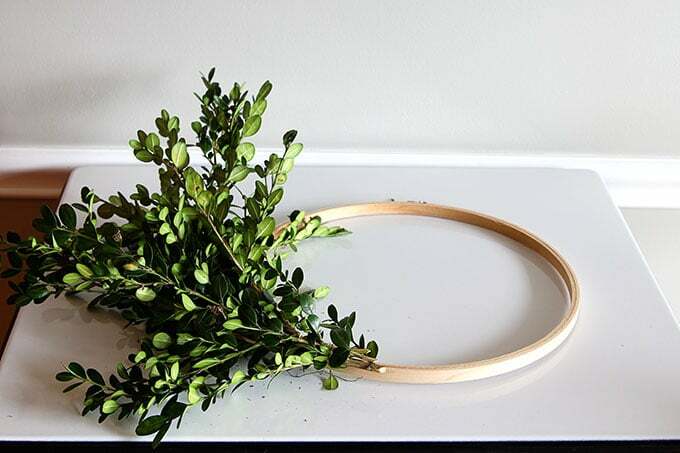 Use a piece of twine or a ribbon to hang your masterpiece of boxwood wreath-i-ness. Now I like my boxwood wreaths to be on the natural looking almost shabby side of things. 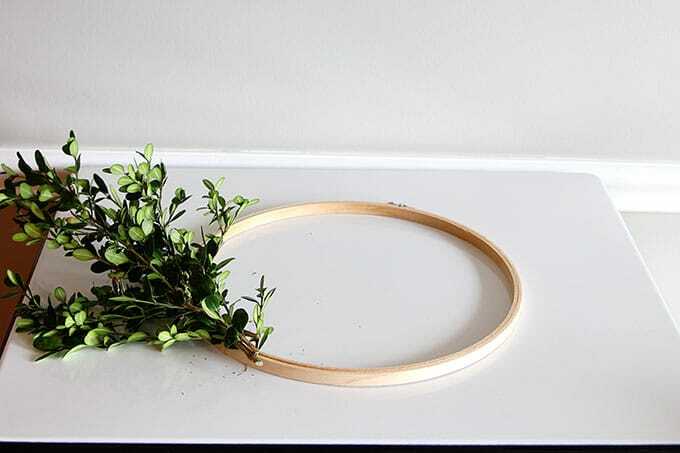 If you prefer a more formal shaped look you can just snip off the ends that hang over and prune it into a neat circle. And here’s a super short 36 second video for you if you are a visual learner instead! I know!!! I made a movie! Who would have thunk! Plop me down in a director’s chair and call me Steven Spielberg! 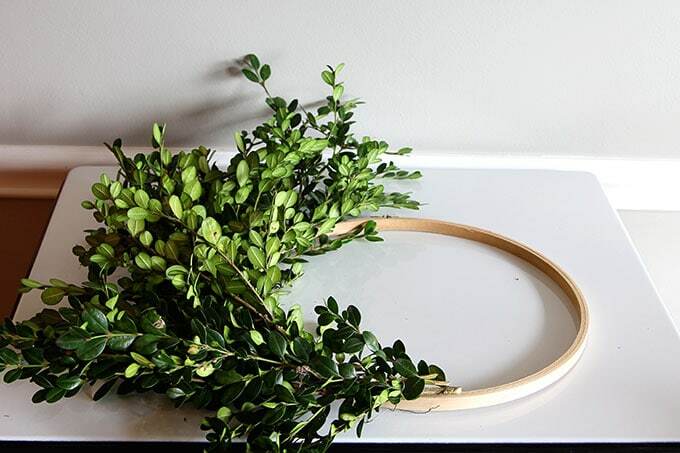 How long does a fresh boxwood wreath last? As with any live wreath, they will last longer outside than if kept inside with the dry heat of the house. ETA: – I kept this one inside and it was a lively green for about 2 weeks and then started to slowly dry out and turned a softer/grayer shade of green. Eventually it dried up completely, but could still be displayed if you don’t mind the crunchiness of the leaves. 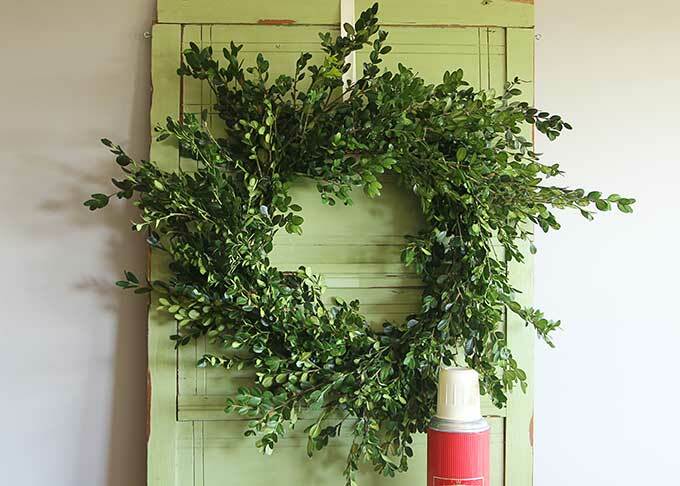 How to preserve your fresh wreath? You can spray it with a sealant if you want to preserve it for even longer. Your wreath will still not last forever, but should be good for a few years. 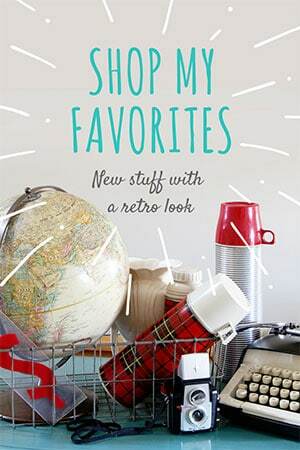 Have you started to plan and scheme and get some stuff together for the holidays yet? Or are you perfecting your creamed peas recipe? Ab Fab!!! Love the rangy look of your wreath. This is my cue to go out and get some boxwood to make one too! I just happen to have an extra embroidery hoop in my stash of ‘good stuff’! Now I need to plant a dozen boxwood shrubs in our yard! I love the wreath AND the funky green door you’ve got it hanging on! Since our girls are going their in-laws for Thanksgiving, there will be no big meal prepared here…so I’ll be decorating for Christmas early this year. A few boxwood wreaths would be just the thing. Thanks for the tutorial, Pam! 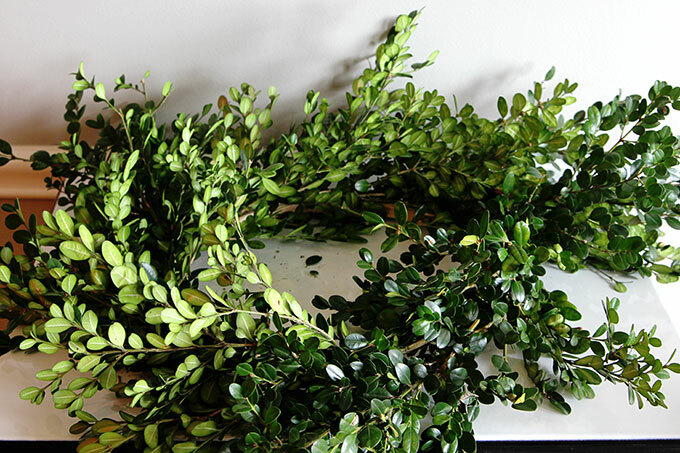 Do fresh boxwood wreaths stay green? Sort of. The one I made in September is still green, but it’s getting crunchy. I have heard that if you spritz them with water every so often they last longer and also if you keep them outside rather than inside (cooler outside) they will last for months. You are so funny. I think I’ll skip breaking my arm I already did that when I was 11 and was out skating when my mom told me not to. Oops!! 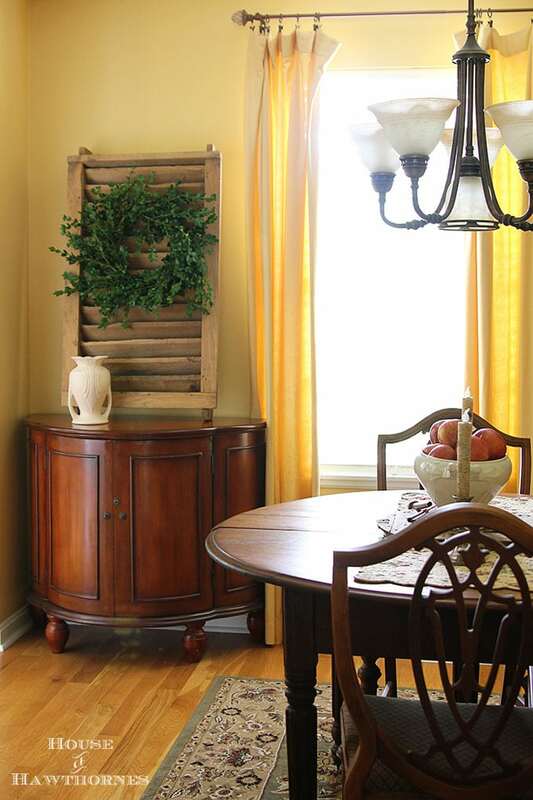 Love the wreath and really love the louvered shutter! Oh, thank you! That shutter/vent/whatever it is is my new favorite thing in my dining room. 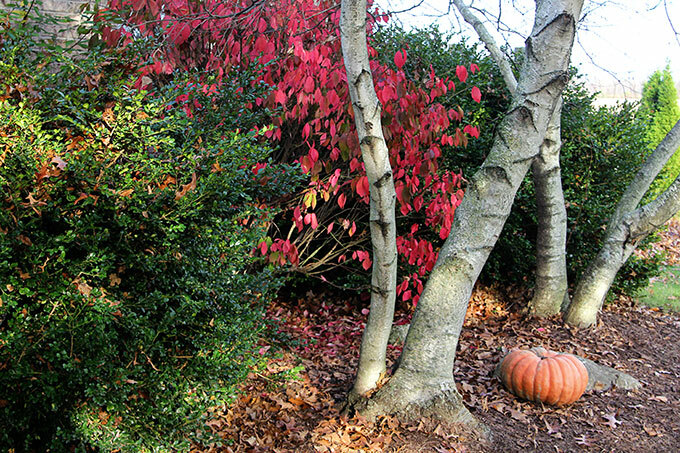 So pretty, Pam…wish I had some boxwood bushes! I love you what a great look. I hope it really is that easy! It is seriously that easy! I want to make a few smaller ones to hang in my kitchen windows. First, I love your sense of humor. Second, I broke my arm in three places in June and it didn’t stop me one bit—we women have to carry on. Third, I have boxwood coming out the you-know-what but have only used the glue gun method to a grapevine wreath and not only burned my fingers but it looked terrible. This is genius. Thank you! wow super easy and looks great. Do you know how long they last? As I would like to try my hand at one but not sure if its good to start early or wait closer to Christmas. I live upstate NY so we have enough cold weather to help it stay fresh. Now I regret not keeping one of those embroidery hoops when I donated so many.. But somewhere in the catacombs of my basement, I may find one yet. Thanks and still love the thermos. Pam, what a great wreath! I don’t have boxwood, but I have a cedar tree growing over my driveway that needs trimming. Can’t wait to make a cedar wreath with these directions. Thank you! Of course, you have a thermos in your vignette! I wouldn’t expect anything less. Lovely wreath and excellent tutorial. I’m not decorating for Christmas at our house until after turkey day, but I did get the Aframe all dressed up for the holidays. Yes. Lots of plaid thermos came out over the weekend. What anbeautiful wreath and it is stunning and oh so full to look at! And s uch an easy tutorial! Thanks so much for sharing. I’ll have to try this with olive tree branches, since that’s what I’ve got! Lovely! My boxwoods aren’t big enough yet but this is a great tutorial. Hope you have a great and creative week. ideas are dancing in my head. branches sold at a floral store. I simply cover it and store it away. Have you tried it with silk? I didn’t even think of using silk! 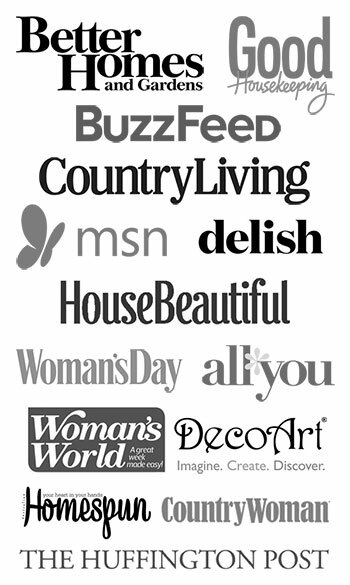 Thanks for mentioning that, I’ll check them out when I go to the craft store tomorrow! Genius! I wouldn’t have thought to use an embroidery hoop! Such a pretty diy! I am going to fetch an embroidery hoop for this one! Can’t wait to make one.